Our History | Hall Erickson, Inc. 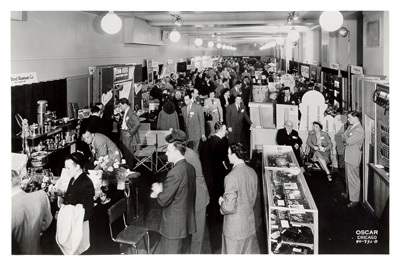 The roots of Hall-Erickson, Inc. can be traced back to the depression era in Chicago in 1930 when an entrepreneur by the name of Hubbard Erickson Sr., a marine manufacturer and dealer, successfully launched the first Chicago Boat Mart at Navy Pier. 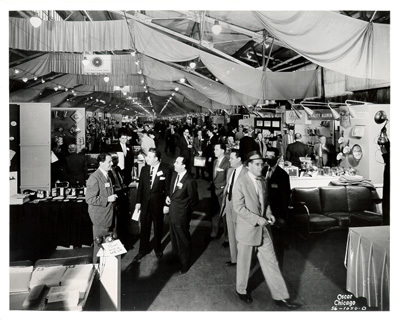 As this event grew into national prominence, Mr. Erickson also began providing services required for the physical operation of other exhibitions and events utilizing Navy Pier. In 1947, Hub Erickson Jr. joined his father after serving four years in the U.S. Navy during World War II, and became a partner in one of the first full-service contractors in the trade show industry known as Exhibition Contractors Company. In 1952, Hub Jr. co-founded Hall-Erickson, Inc. with Ruth Hall. Over the next 30 years, they built Hall-Erickson into one of the most respected independent exhibition management companies in the United States, providing a range of management and marketing services to professional trade associations. He was credited as being a founder of the Trade Show Bureau (now CEIR), he was elected President of the National Association of Exposition Managers (now IAEE), and he was inducted into the Convention Liaison Council "Hall of Leaders" in 1986. Since 1982, Hub's son Pete has served as President of the organization, and is supported by a team of trade show professionals with years of industry experience. This management team of Pete Erickson, Carol Fojtik, Paul Graller, and Mike Weil share their extensive knowledge and expertise in developing new ideas, programs, and procedures for each of the exhibitions and conferences currently managed by Hall-Erickson. The result is a considerable depth of knowledge and resources available to each client in the management and production of their event.